High Wycombe is a traditional Conservative Constituency having returned successive Conservative MPs to Parliament since 1951. The Constituency dates back to 1295 and has been represented by many politically famous families. The current MP is Steven Baker, elected at the 2010 General Election with a majority of almost 10,000. Benjamin Disraeli lived within the constituency at Hughenden Manor and made his first political speech from the Red Lion Portico in 1832. Sir Winston Churchill stood in the same place at the end of the Second World War to address the people of the town. The town maintains close associations with the RAF with Strike Command (RAF Air Command since 1st April 2007) at Walters Ash and RAF Daws Hill. High Wycombe is proud of some of its quainter customs, particularly the public weighing-in ceremony for the Mayor and officers of the Town. The ceremony is there to ensure that they do not get 'fat' during their year in office. The Town Crier announces those who have put on weight with the cry of, "And some more!" - which prompts loud boos from the assembled crowd. It remains one of the few selective education areas in the Country and is home to three grammar schools: the Royal Grammar School, Wycombe High School and John Hampden Grammar School. In addition there are high achieving secondary schools within the Wycombe area which demonstrates that it is possible to deliver appropriate education that meets pupils needs at all levels. The results from all schools speak for themselves. In addition Wycombe hosts one of the best girls' independent schools in the country - Wycombe Abbey. High Wycombe is well provided with shopping and leisure activities. The opening of the Eden Shopping Centre in 2008 has provided not only top class shops, but also a new bowling alley and cinema. Wycombe has a traditional street market aided by a pedestrianised High Street. Here one may buy not just vegetables but many goods at below shop prices. On the entertainment side, the Swan Theatre offers top class acts from around the world on an almost daily basis. Wycombe Conservative Association is a vibrant organisation. With offices just outside the main town centre it encourages and gets membership from like minded persons regardless of race or creed. The Association has a significant majority of Conservative members on both the District Council and the County Council and dominates the politics of the area. Sympathetic people are welcome at most of its activities, even if they are not members. 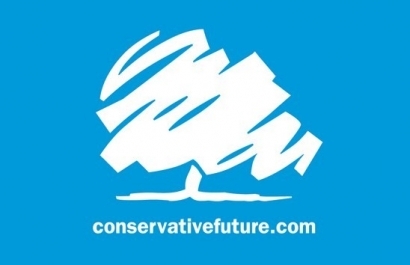 The Conservative Party itself a large and complex organisation, representing and involving people with a diverse range of backgrounds, interests and concerns. It is a broad church, which encourages open debate and accepts differences of opinion. For further information about our Policy Forum, click here for a list of dates, or call 01494 521777.